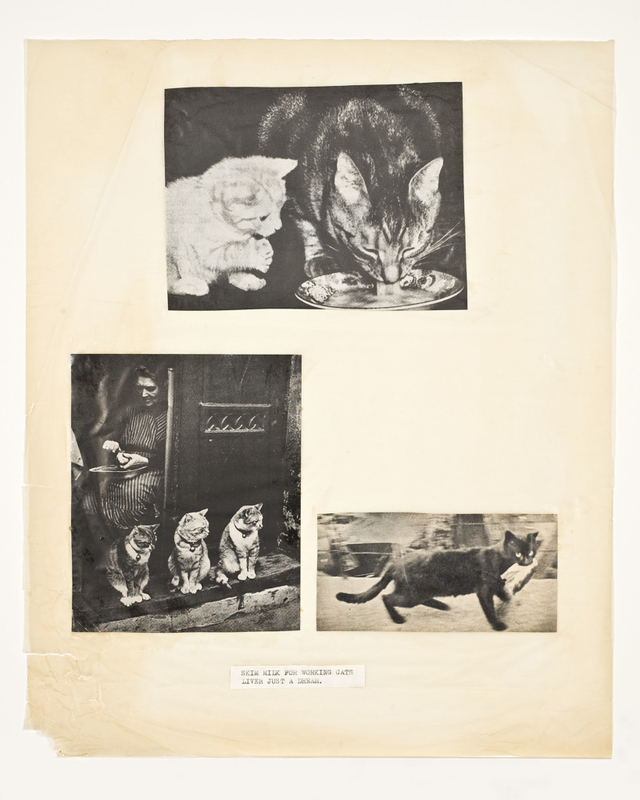 “The Collages of Helen Adam” is a forthcoming book from Further Other Book Works, highlighting the collage work of the Scottish poet, collagist, and photographer Helen Adam. Below are some of the collages which will be included in the book. Yesterday, we ran an introduction to the book from Alison Fraser. Today we’re running an excerpt from an introduction to an archive of her work by Jim Maynard. Although some writers like Robert Duncan had professed her significance from the beginning, there has been, at least since the late 1980s, a determined attempt by critics such as Michael Davidson and especially Kristin Prevallet to reconsider Adam’s importance as a literary figure within the San Francisco Renaissance. 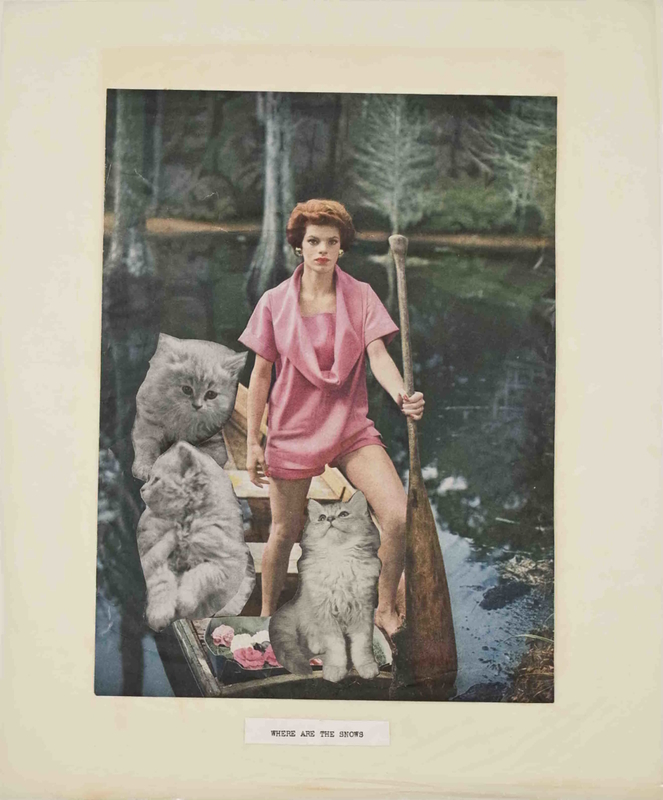 More recently, however, thanks again to Prevallet and the 2007 Helen Adam Reader she edited, followed in 2013 by the traveling exhibition An Opening of the Field: Jess, Robert Duncan, and Their Circle, there has been a second reappraisal of Helen Adam as a collage artist. By bringing together for the first time in print the largest number of her collages ever assembled, this book hopes to promote the continued appreciation of Adam as a visual artist. And as is often a prerequisite for artistic reevaluations, it does so by making available previously unknown materials from her archive. 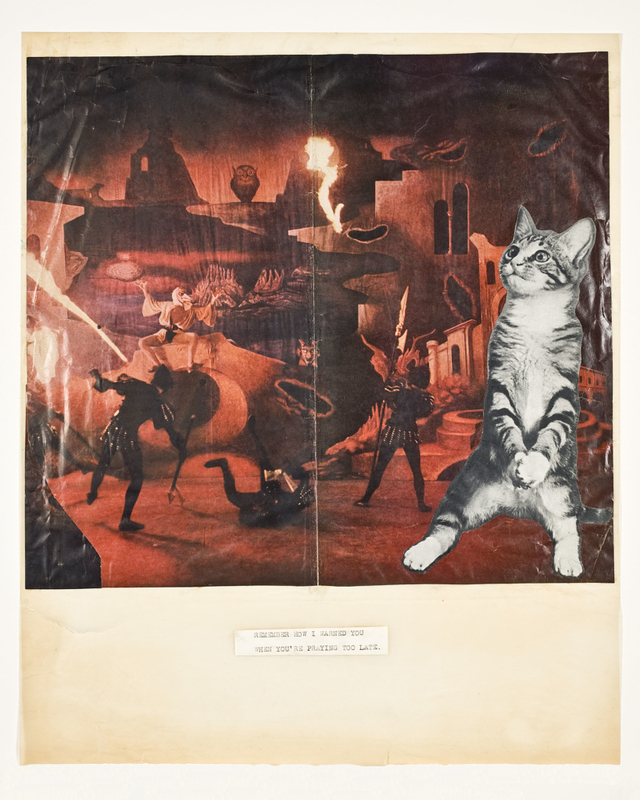 The evidence suggests that Adam began making her own collages shortly thereafter as a private form of entertainment that she sometimes chose to make public through publication or by giving them away as gifts. Writing to Duncan and Jess in September 1957, Adam explains that she and her sister “were playing around with collages again last night. I did a pleasing owl headed lady prancing around in Stonehenge, while Pat made a huge praying mantis crawl out of the chemise dress of an absolutely demented looking Vogue model.” This description of advertising culture in collision with the natural world is typical of the work she made in San Francisco. 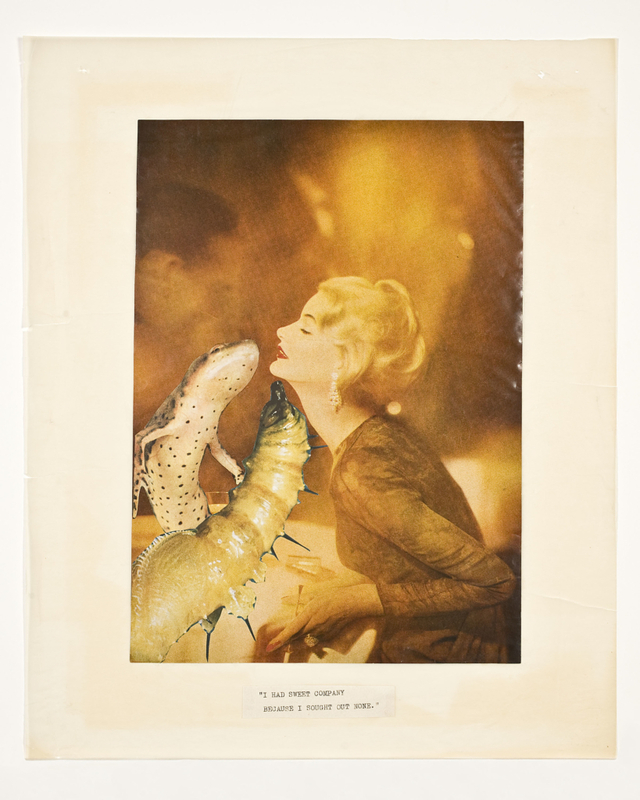 Many of her collages from this period marry images of society women with various, often fright-inducing creatures which in their juxtaposition create a psychological dichotomy of public versus private desires amidst expectations of beauty and femininity. Materially, these works take form with a magazine page, superimposed with a smaller clipping or clippings from a different source or sources, attached to a backing of 13 ¾” x 16 ¾” tracing paper that in some cases has been trimmed. 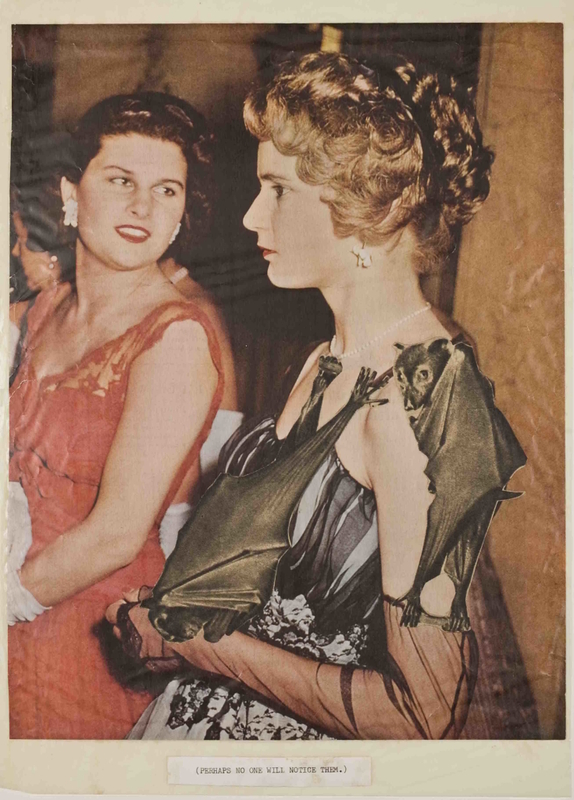 Looking at the versos of Adam’s images visible through the thin paper backing reveals her source material to be popular mid-century American and British magazines such as Vogue, Harper’s Bazaar, Junior Bazaar, Illustrated, Holiday, and Picture Post, as well as some French- and Spanish-language magazines, dating back at least as early as 1950. Usually there is a playful caption—sometimes in quotation marks, sometimes not—attached underneath the magazine page. 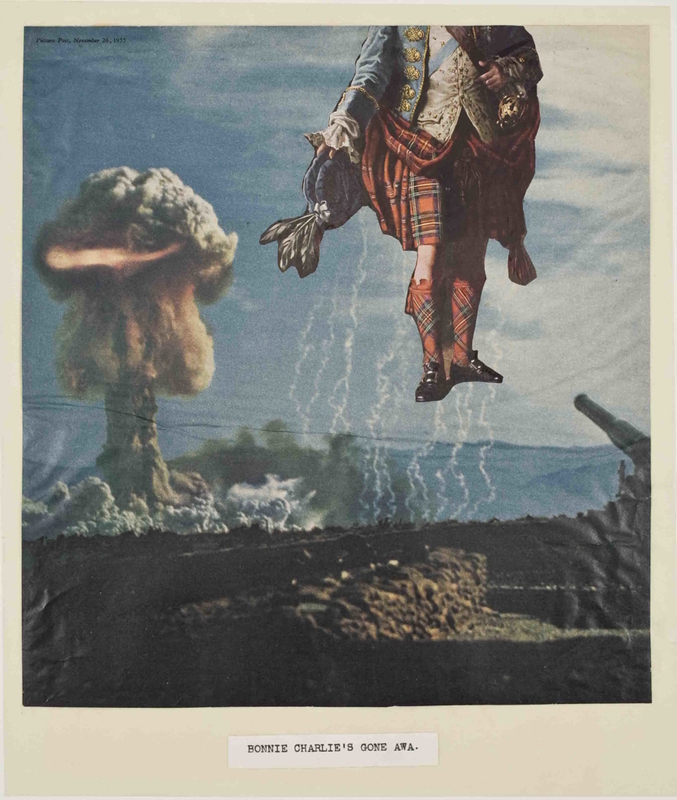 As Alison Fraser explains in her introduction, there are numerous patterns to these collages both in terms of their content as well as their captions, which include allusions to ballads, fairytales, Scottish folksongs, and lines of nineteenth-century poetry. Viewed in larger groups, the works convey a consistent method of construction, style, commentary, and vocabulary of images. 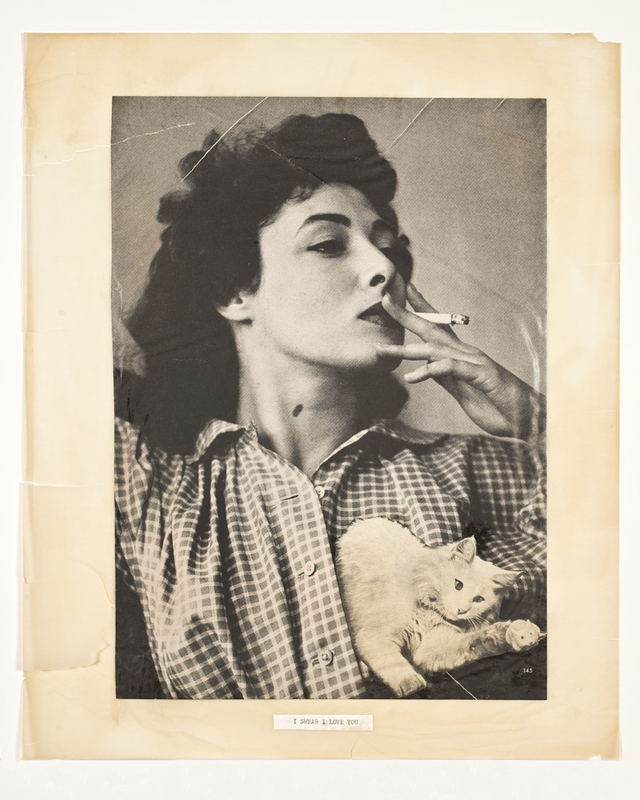 Overall, approximately 165 of these early collages survive in her archive, although that number is hard to verify given that partial collages appear in the collection as well as numerous miscellaneous clippings. All images copyright © the Poetry Collection of the University Libraries, University at Buffalo, The State University of New York.